Getting a great deal on your business electricity can help keep every day running costs in check. But knowing what a great deal looks like can be tricky – so, here are the facts on getting the best business rate electricity tariff on the market. Fixed-rate contract: this freezes the cost of your electricity per unit (measured in kilowatt hours, kWh) for the length of the contract. Variable-rate contract: the price you pay per kWh will go up or down depending on market activity for the length of your contract. Both have their pros and cons – for example, fixed rate deals mean you can budget accordingly but you won’t benefit from any reductions in electricity prices unlike with variable agreements. Deemed rate contract: if you don’t switch or renew your electricity deal then you could end up on this, sometimes called an out-of-contract tariff, it’s one of the most expensive you can be on. Rollover contract: another very expensive tariff but easy to find yourself on if you fail to agree a deal, this could see you signed up with your old provider for another year. It doesn’t matter what size your business is, the last thing you want is to pay more than you need to for your energy, which is why it’s really important to compare and switch as soon as you can. Commercial energy deals are tailored to your specific needs, so it’s hard to predict typical business electricity rates. The simplest and fairest way to compare business electricity quotes is to look at the cost per kWh. As a guide, microbusinesses using between 5,000-15,000 kWh of electricity annually, can expect to pay between 13.2p–14.5p per kWh. Small businesses using 15,000-30,000 kWh may be charged anything between 12.4p-14.1p per kWh; whilst medium sized enterprises with an average electricity consumption of up to 50,000 kWh pay the lowest per kWh at 12.2p-13.3p. You’ll also need to build in the daily standing charge which ranges between 22p and 27p with medium sized businesses paying the least. What affects the cost of commercial electric rates? Wholesale electricity – this is the actual cost of electricity to the supplier but also includes a buffer to protect them from minor losses that come from delivering energy. The nature of your business – businesses using most of their energy during evenings and weekends can expect to pay cheaper rates than those working traditional office hours as overall demand will be lower. Your standing charge – if your electricity consumption falls dramatically then your provider may increase its standing charge so it’s important to take this into consideration when you compare quotes. Your buying power – bigger enterprises will have more sway when it comes to price because suppliers will want the business. But micro and small businesses can club together in group buying schemes that can help increase purchasing power. Where your business is located – electric company rates vary by region taking into account power network maintenance and delivery costs. At the moment, Scotland has some of the highest charges in the UK with the Midlands enjoying the lowest. How long your contract is – this affects both your standing charge and the cost of electricity. For every year you extend your contract, you add another 6% to the price you pay per kWh, on the flip side you can expect your standing charge to be reduced by between 2% and 6%. Government levies and currency prices – suppliers have little control over taxes, regulator fees, levies and fluctuations in currency which can all impact how much you pay. Commercial energy prices can change on an almost daily basis which is why it’s always a good idea to compare quotes when your existing contract comes to an end – otherwise you could end up paying more than you need to. Signing a fixed term contract can save you as much as 60% on your electricity compared to the alternatives. Most contracts run for one year giving you peace of mind and the flexibility to move on to a better deal at a later date. 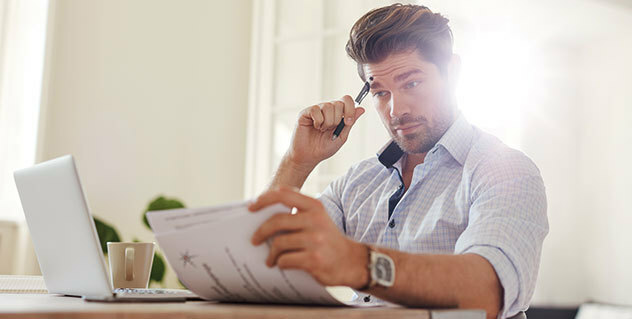 If you’re looking for longer term stability, then you can get two or even three-year contracts but bear in mind they can be difficult to get out of unless you’re willing to pay a very hefty cancellation fee. However long you decide to sign up for, make sure you read the small print – it might be a chore, but there’s no cooling off period with business energy so you need to make sure you’re happy with it. If you think switching’s more hassle than it’s worth – then think again, because we can do it all for you. After that, you can sit back and watch the savings roll in – so give us a call on 0800 156 0871.